Life consists of change: children come along, and the issue of having a “child-friendly” home raises its head. Or a sports accident turns your apartment into a place of obstacles that you never before contemplated. If nothing else, getting old makes you conscious of the fact that life's changes necessitate an appropriate transformation in your living environment – the children have flown the nest, and as you get older you need maximum convenience in your bathroom because everyday life presents new challenges. 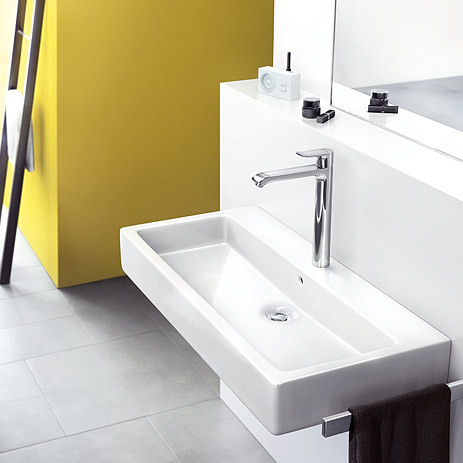 The concept of the cross-generation bathroom is based on the desire to make life in the bathroom easier and more convenient for all age groups. 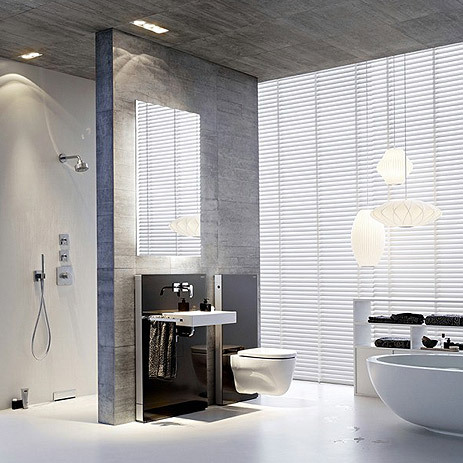 The bathroom that stands the test of time: just what building owners and renovators are increasingly looking for. When you have young children who enjoy engaging in water fights in the bathroom, safety is a must; but convenience and safety are also key factors for older people, who need to be able to enjoy a bathroom that is tailored to their needs and requirements. 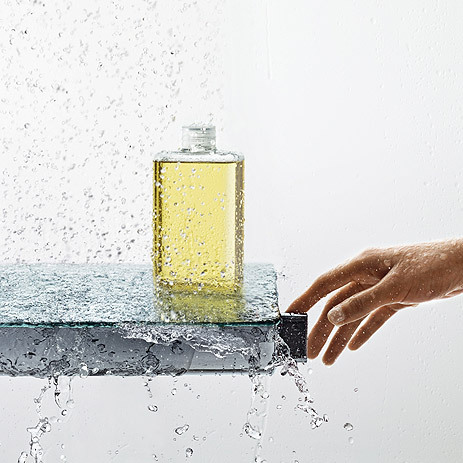 The Hansgrohe Group, the bathroom and shower specialist from the Black Forest, has a host of innovative products to offer. Your local specialist partner can help you make the right choices. The cross-generation bathroom, currently attracting much debate, focuses on non-slip surfaces and flush-to-floor shower areas, among other things. Clearly structured architecture and freedom of movement are also important: this adds a completely new kind of user quality to the bathroom. At the wash basin, hansgrohe mixers have the advantage of extra space between the spout and wash basin: with hansgrohe ComfortZone. The hansgrohe Talis single lever mixers have extended handles, making them even easier to use. 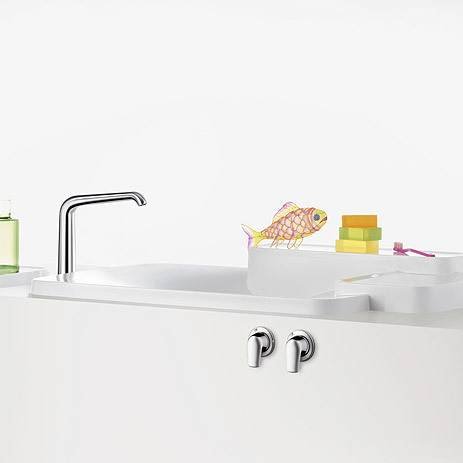 The flexible arrangement of the control units in the mixers from the AXOR Bouroullec collection is ideal for children (and others), as these can go literally on the front of the wash basin. Variants with a lever handle also make operation easier. Similar convenience is offered by electronic mixers, which make it easy for all age groups to handle water. 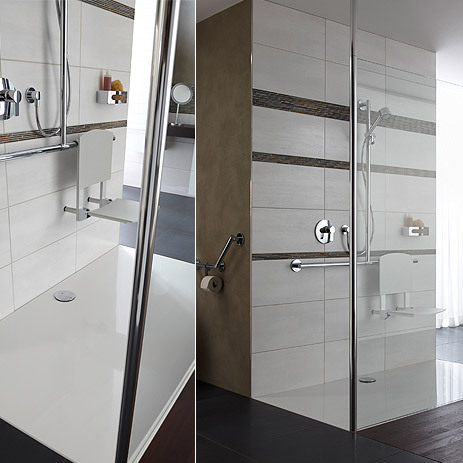 In the shower, Select products from hansgrohe and AXOR can be operated intuitively and ergonomically. 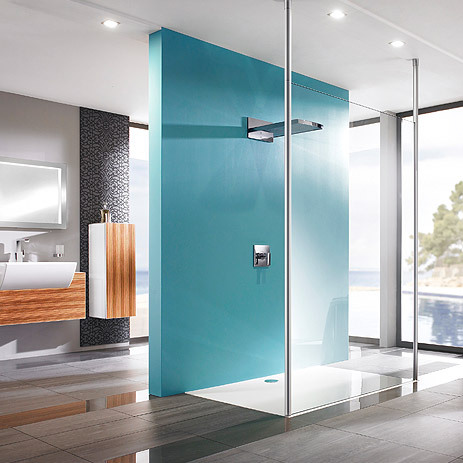 Showers from the Raindance Select range guarantee that you can “Select your Shower Pleasure” at the touch of a button, with no need to waste time fiddling around. The Ecostat Select thermostats have ergonomically shaped handles and large symbols, which are ideal for bathroom users of all ages. Thermostats also offer you added safety, because the preset temperature prevents any nasty surprises: an extra benefit that is not just an advantage to families with children, and which also applies to electronic mixers. Your local bathroom professional and dealer will have more information for you regarding this fit-for-the-future bathroom and the design options that are on offer. 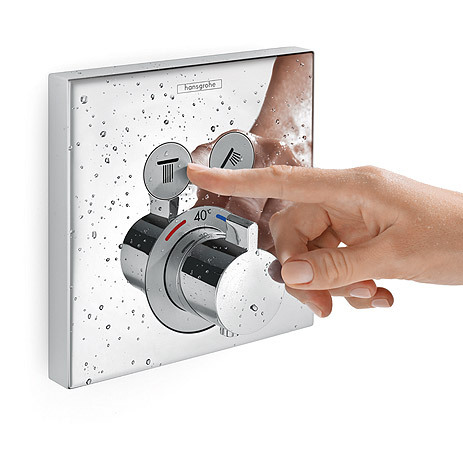 The exceptional ease of use offered by hansgrohe ShowerSelect concealed installation thermostats also impressed an expert jury, who highlighted the intuitive operation at the simple touch of a button. The industry association's decision to present the award to hansgrohe was based on the fact that the smart installation unit meets the challenges posed by demographic change in an attractive way.